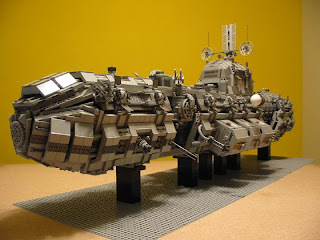 Greeble, greeb or greebling is a word not recognized by most dictionaries. 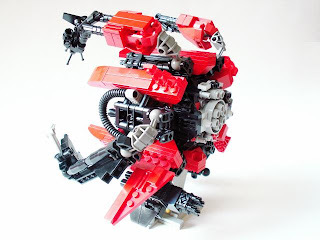 As written in the greeble design commentary on Lugnet, “‘Greeble’ (also ‘greeblie’ or ‘greeb’) is the popular term to describe groupings of mechanical-looking detail elements on MOCs”. It didn't really make me that much wiser - until I discovered the illustrations which sure brought back some fond memories! 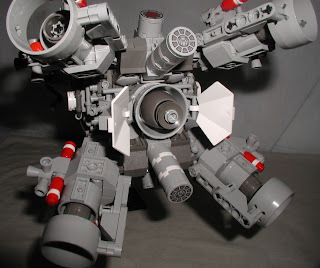 For those of you who don't know what a MOC is, here's a short explanation from wikipedia: "My Own Creation, a fan-created Lego creation that was not a set originally marketed by the Lego Group". 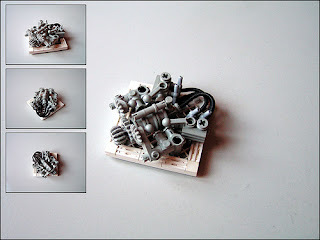 Check out the full page for more Lego madness.